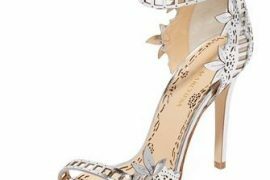 The H&M Spring/Summer catalogue dropped through my door yesterday morning, and as I flicked through it over my morning coffee, my eyes zeroed in on these purple suede high heeled sandals, which I immediately had to go and find on the website. These actually looked a little bit nicer in the photo in the magazine than they do on the website (funny how that happens sometimes, isn’t it?) but they’re still rather special, and a pretty good deal for just £39.99 – especially given that they’re real suede. I always used to think of H&M shoes as mostly cheap ballet flats and synthetic leather (which is possibly why I have a tendency to overlook them completely and head straight to the clothing section), but lately they’ve been using real leather and suede much more often, and have also released quite a few really great styles, so I’m impressed. 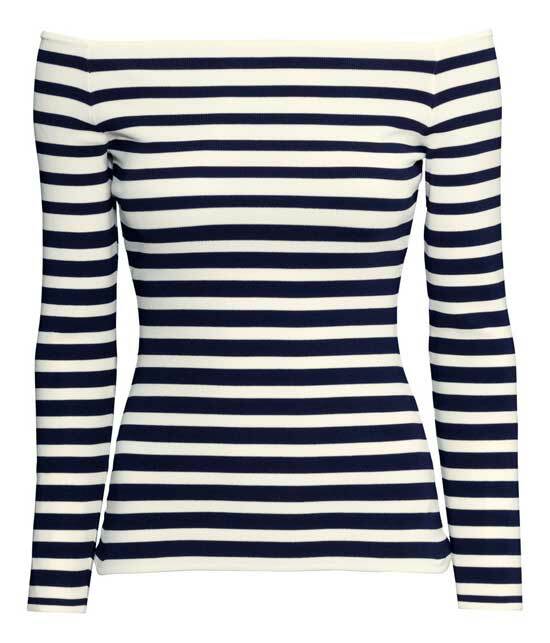 This top comes in black, white and stripe – the stripe version shown above is currently out of stock online, but H&M products tend to come in and out of stock really frequently, so I recommend checking back often. My parents’ bought me the white version as part of my Christmas present, and I loved it so much I had to buy the other two as well. These tops are a really thick, stretchy material which keeps its shape, and is really easy to wear. I love off-the-shoulder designs like this because they’re that bit more glamorous than regular tops, but still relatively casual. 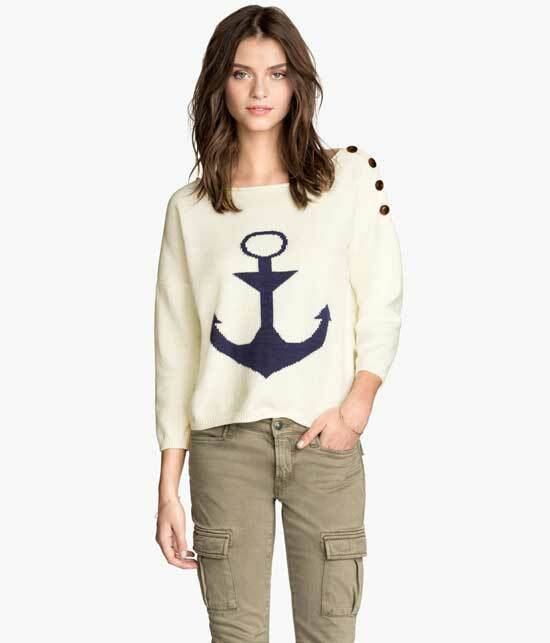 For those who like the nautical look, meanwhile (that would be me, then…), this anchor print sweater would be perfect for a chilly spring morning: there’s also a red and white stripe version, too!